Baffo Banfi - synthesizer (mini-, micro, poly moog), Farfisa Rhythm machine, A.R.P. 2600+sequencer, Logan and Solina string ensemble, Echi:, Roland and Binson Chambers, Eventide Clockworks phaser, Faylon mixer and altri. 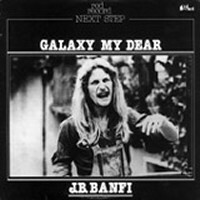 1978 solo album reissue by Biglietto per L'Inferno keyboards player Baffo" Banfi. Electronic keyboards influenced by Klaus Schulze, including one bonus track. Deluxe papersleeve CD edition, gatefold cardboard cover, detailed booklet with vintage photos and original LP labels.